Pinky has been working in a group exercise setting (including Boot Camp and Kickboxing) since 1997. She enjoys motivating people to strive toward a more fit and healthy lifestyle. 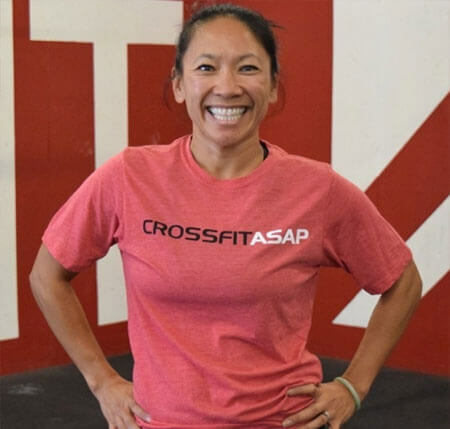 She started taking CrossFit classes in January 2016. The weightlifting component combined with the cardio fitness workouts was enough to hook Pinky and her entire family. Joining the CrossFit ASAP coaching staff as a cardio instructor has been amazing! She hopes to continue working with the community to help people achieve their goals.